I am slowly exiting boating so....This is my son's new Cobia 261 w twin 200 Yamahas. 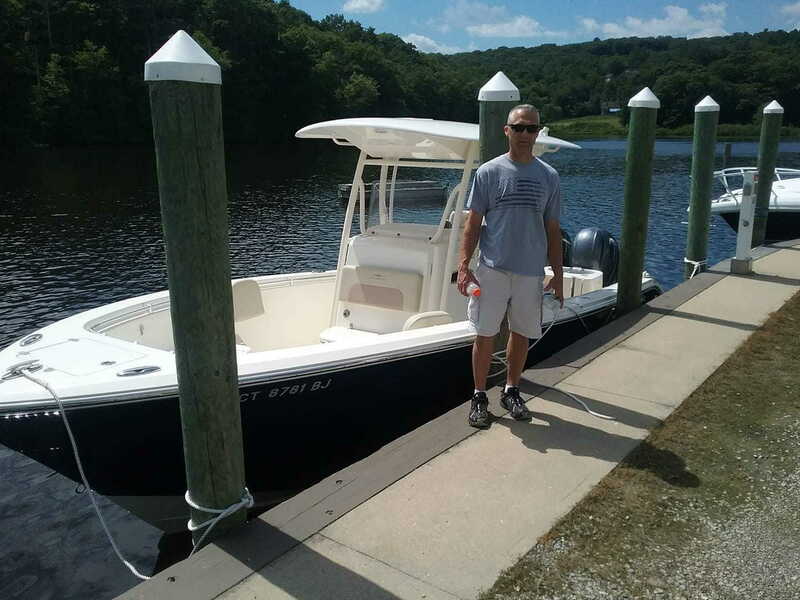 It is an amazing ride - extremely fast and smooth and has all the amenities -it seems to be a very well designed boat with easy access to pretty much everything. - I'll post a review after we get it into some snotty weather. So I will be selling mine later this summer and just using his the few times I actually boat anymore. So if you want a mint condition 2014 Contender 23 with a 300 Yamaha, keep an eye on the Trading Dock in another month. May get rid of my 240 Coastal Wellcraft with 225 Johnson too. Afishinado, mikeloew and Lprizman like this. You know you've done it right when your children start buying toys you can play with. Congrats! LI Sound Grunt, mikeloew and Lprizman like this. Nice boat!!! Sorry to hear you are getting out, you taking up crossword puzzles instead??? LI Sound Grunt and Lprizman like this. Nice boat. I have been very happy with my Cobia 256. Wish my son would buy a boat instead us using mine. I’ll be looking for the Contender when it pops up! A friend of mine in Stuart got the same boat 6 months ago or so, really nice rig! Cobias are great boats. Well thought out.